War is madness, but sometimes it serves as a means to stop a great evil. You can debate the moral quandaries of this statement until the cows come home , but I don’t think Hitler would have been stopped with a cup of tea and some light conversation. Standing up for what’s right is a basic human trait , often forgotten in an increasingly selfish modern society. In many ways, chivalry is dead, but ’13 Assassins’ harks back to a time in Japan when the samurai lived by ‘Bushido’ (‘the way of the warrior’). In Japan in the 1830s, the samurai are beginning to be seen as second class citizens. A small group of warriors is hired to assassinate a sadistic young lord, who is causing chaos across the land. He goes untouched because of his connections to the current shogun – a military dictator – and must be stopped at all costs. There is a political undercurrent in ’13 Assassins’. Many characters have to choose between fighting for what’s right, and fighting for their leader, who seeks to tear the country apart. The lines between good and evil are constantly shifting, as the characters’ morals are questioned. The samurai pride themselves on dying an honorable death, but can that be possible when you’re going against your leader? Controversial Japanese director Takaski Miike is known for making films that some believe are overly violent and sexually perverted, but he has showed some restraint with ‘13 Assassins’. Miike gets the balance right , developing his characters beautifully in the first half of the film and delivering a ballet of battle scenes in the finale. Yes, the film is violent, but it’s not in your face. 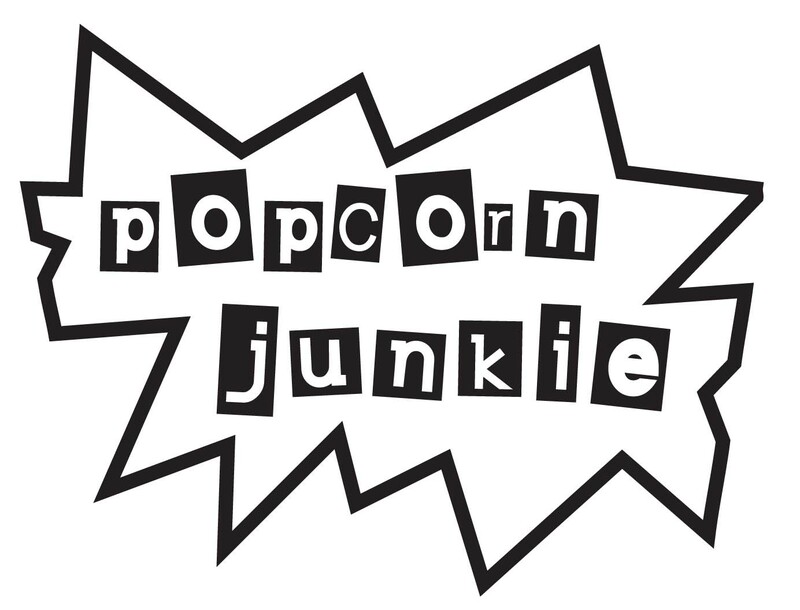 Miike cleverly uses sound effects and leaves the most distressing violence off screen, where it can morph into grotesque creations in the audience’s mind. Miike is a master at building tension and releasing it in spectacular style. The fight scenes are well crafted and put most mainstream Hollywood action directors to shame. It does get fatiguing toward the end, but it’s only a minor blemish. The performances are excellent, with Kōji Yakusho the standout as the leader of the assassins. Meanwhile, Gorô Inagaki brings to life one of the best on screen villains in years, playing the evil Lord Naritsugu Matsudaira. ’13 Assassins’ is a classic tale of good versus evil against the magnificent backdrop of feudal Japan. There is so much more to this film than just sword fighting samurai and it’s bound to become a cult favourite. 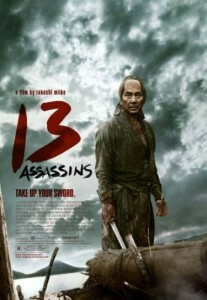 ’13 Assassins’ is now showing in cinemas eveywhere. I watched the film a while back, the fight scenes became a bit too vulgar for me, but the end was priceless. Definitely not one of Takaski Miike’s best wouldn’t you say? ’13 Assassins’ was my first foray into the world of Miike, got a list of his best I should check out? Good movie, glad you liked it. It certainly reminds of Seven Samurai but I felt the character weren’t nearly as well developed. Hence some of the deaths were a bit emotionally empty. I also thought the villain was overly evil to start with, killing people for absolutely no reason and so on. Nonetheless, very solid flick. Man, this film was awesome. I thought the characters were quite well developed considering there was just over an hour of screen time before the battle, and thirteen signature characters. We actually learnt more about them throughout the battle, as they were given individual focus. The battle sequences are just incredible but I agree with you when you comment on how they fatigue the viewer. I was a little bit disappointed by the final confrontation too. But, this was the last film I saw at SFF..so it was a badass way to end the festival. Nice review.